Environmentalist and writer Winona LaDuke said, “Someone needs to explain to me why wanting clean drinking water makes you an activist and why proposing to destroy water with chemical warfare doesn’t make a corporation a terrorist.” What a powerful statement. As context, this sentence was part of her response to the much-debated fourth phase of the Keystone pipeline. The proposal for this segment of pipeline, Keystone XL, has been in and out of headlines for nearly a decade; it prompted a veto under one U.S. president and a permit under the next president. Keystone XL involves a number of interests and issues—job creation, indigenous rights, diplomacy, safety, environmental concerns, economic growth and more. Or in other words, it’s an issue we should be talking about frankly, openly and respectfully. 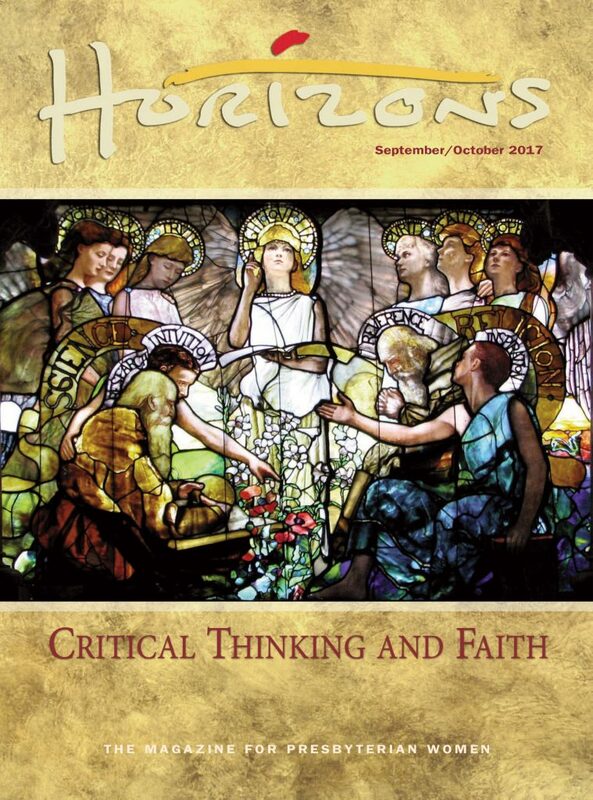 This issue of Horizons presents a series of tools to inspire and equip you to think critically and engage faithfully with any matter, especially those that feel too big, too emotionally charged to take on. Presbyterian Women are thinkers, listeners, and doers. So this issue isn’t teaching you a new thing. It’s about our ever-expanding understanding of God’s world, our ever-deepening relationships with God’s people (especially the ones whose worldviews differ from our own), and our ever-growing relationship with God and God’s vision for the world. The following pages are a reminder that we can do so much better than saying (or shouting) our opinions at one another. It’s a reminder of the importance of truly talking with people who have different experiences and different viewpoints. It’s a call to find, as Roula Alkhouri did (p. 22), our common ground despite what seems to divide us. It’s a reminder to nurture what we hold dear and respect what others hold dear, as God would have us do. Rebecca Davis celebrates the long tradition of critical thinking as part of Reformed theology. 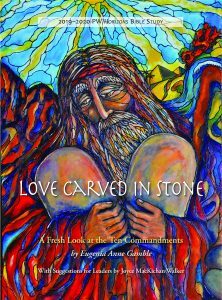 She shares habits of the “Reformed habit of the mind” that will deepen your reflection on matters of faith. Enjoy this quick guide to critical thinking that outlines key questions for understanding even the most complex issues. Elona Street-Stewart reflects on the experience of being Native American in a culture and faith tradition that ignores or forcibly silences Native Americans. She explores what the Belhar Confession’s themes of reconciliation and respect show us about the possibility of transforming and healing from oppressive power dynamics. Amy Kim Kyremes-Parks reflects on the importance of learning scripture’s context for more fully understanding God’s word. She challenges us to read, discuss and boldly carry out the gospel message. Every life has those moments when all we can think about, assess and know just isn’t enough. 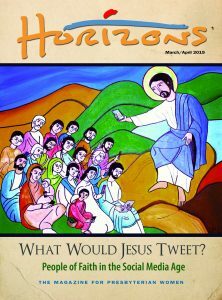 Roula Alkhouri explores the tools of our faith for navigating those times of uncertainty.